You can get to know your Group-mates better in virtual reality. 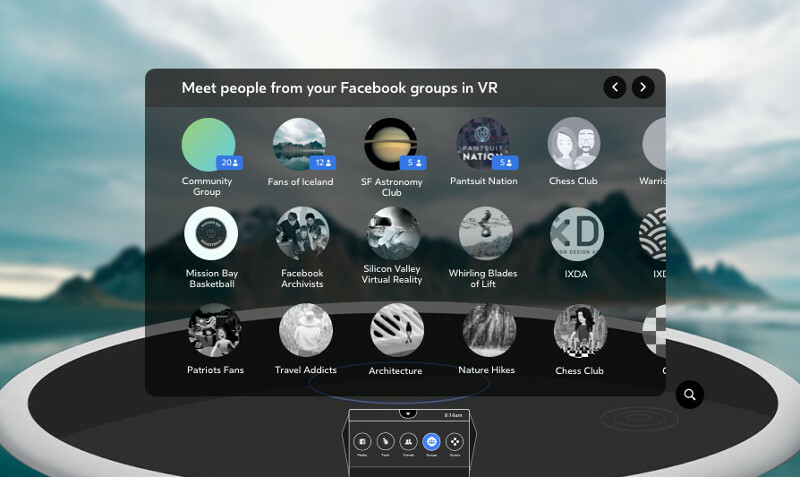 Facebook Spaces is no longer just a place for you to hang out with friends and family in your list: you can also use it to form bonds with people in the Groups you're in. You can now host or join a VR Space with up to four people from a Group, so you can discuss shared interests in virtual reality. The social VR app allows you to connect with new people in a deeper way: you could, for instance, conduct practice sessions together using VR props if you're all part of a music or a stand-up comedy group. You could perform in one Space as a band and livestream your performance to friends. You could also watch videos together or just chat and get to know one another at a deeper level in a VR environment. By opening up Spaces to Groups, Facebook has amped up the social aspect of the app. Since that also means you could end up in a single VR environment with people you don't know that well -- or at all -- Facebook has ensured you can report people and mute or pause the experience anytime. It's an early experimental feature, though, so you'll likely encounter bugs as you go along, meeting new friends through your Oculus Rift or HTC Vive headsets.